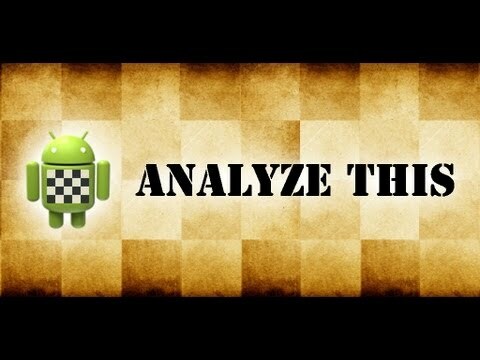 Chess for Android consists of a chess engine and a GUI. The application accepts moves through the touch screen, trackball, or keyboard (e2e4 pushes the king pawn, e1g1 castles king side, etc.). An optional "move coach" highlights valid user moves during input and last played engine move. Full game navigation buttons enable users to correct mistakes or analyze games. Games import and export as FEN/PGN to and from the clipboard or via sharing, load and save as file, or are set up through a position editor. A draw by stalemate, insufficient material, the fifty move rule, or threefold repetition is recognized. The engine plays at various levels (including random, against itself in auto-play, or free-play, where the game can be used as a "magnetic chessboard"). The user can play either side and, independently, view the board from the perspective of white or black. The application supports the Universal Chess Interface (UCI) and Chess Engine Communication Protocol (WinBoard and XBoard), which allows users to play against more powerful third party engines or even play tournaments between engines. Engine setup features pondering, infinite analysis, hash tables, multiple threads, endgame tablebases, and opening test suites. Recognizes Chessbase compatible engines. This will never be as beautiful as little evil crows or rapacious arachnids, but at least it can challenge your brain cells. Yafi is a chess application (called interface or client) which uses Free Internet Chess Server (aka FICS, freechess.org) as a connection point for thousands of chess players all over the world. If you just want to play a quick game while going to school or work, or you want to meet new people online with the same passion to chess - this application is for you. Timeseal and premove, the most important things for fast (lightning and blitz) games, are implemented. Yafi allows you to chat with other players by using Unicode characters. Keep in mind this is not directly supported by server and not all players will see non-latin characters correctly. You may login as a guest to play unrated games if you don't provide any credentials. Application is supported by ads. Version of Yafi which doesn't contain ads is now available. You may buy it to support development. Yafi is in early development stages, so expect frequent updates. This application doesn't have any built-in chess engine, so you can only play online against other human beings, but also against computer players, which also connect to FICS. It works very well on both phones and tablets. Thanks to everybody who reports problems with the application or gives any kind of feedback and especially to Sam D., GS and LeO. - fixed game not showing when using "follow "
- Scid DB support using "Scid on the go"
* Most of the GUI code was taken from Peter Österlunds DroidFish and re-released under GPL v2 by the authors permission. * Scid integration by Gerhard Kalab. * Various enhancements by Alexander Klimov. * Manage UCI engines by Larry Isaacs. Got some chess books or magazines in pdf or djvu format? Now put them to good use. The most effective way to study chess material is to move the pieces around on a board, and this is exactly what this app helps you achieve. Open your Chess ebook and play out the moves on the board, all in one screen! Ingress into the world of chess books and magazines! ♚ You need to manually move the pieces on the board, just like in real life.This app does NOT automatically make moves on the board if you tap the ebook. 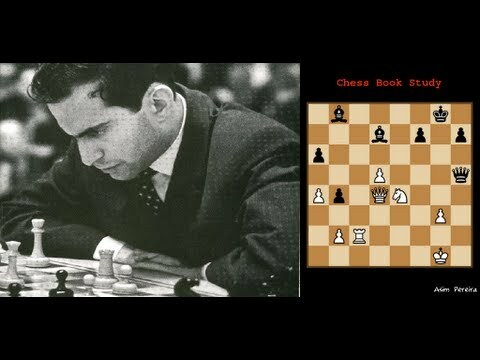 ♚ Using this app, I have personally studied many pages of Chess champion Mikhail Tal's book. ☆ Manage and install new UCI engines. ♚ Free vs Paid : Free version cannot install new UCI engine and has some other minor UI limitations while browsing games. Free version may show Ads. Chess PGN Viewer has been renamed to Chess PGN Master! This is the trial version of Chess PGN Master. Browse through chess e-books available in PGN format or watch live tournaments as they occur (if there's a PGN file available on the web which is regularly updated). I am honored with the votes, of course. This poll also shows how many very good chess applications there are for Android nowadays, a very nice trend! It is true that now in android, there is a very wide range of high-quality applications. In this regard, I bump the topic to notify that I proceed with some cosmetic updates. Note: This application is not really free. I quote the comment from someone else. The link is misleading because it is not a free product, most of the functionality can only be unlocked via in-app purchases, and you will need to pay for each of the in-app purchase. It is one of the most expensive apps available. The app is about 300 MB and is intended for pure chess newcomers. The engine is very bad, it played 1.e4 c6 2.d4 Nf6 3.Nc3 Nxe4?? 4. Nxe4 Qa5+ 5.Bd2 Qxd2+???? against me and it was the toughest level without a purchase. It is an Open GL 3D chess playing app. The graphics is good but the frame rate is not the greatest. You will need an iPhone 5 for optimal performance. I think this is the best 3D chess playing app I've ever played, but more suitable for people who has no idea about chess or children.